A good shepherd equips his sheep to face the trials of life. But as Psalm 23 reminds us, no shepherd equips his sheep quite like the ultimate Shepherd. Let's unleash his power in the lives of our brothers and sisters in Christ by specifically praying for God to equip them with everything they need to do his good work! 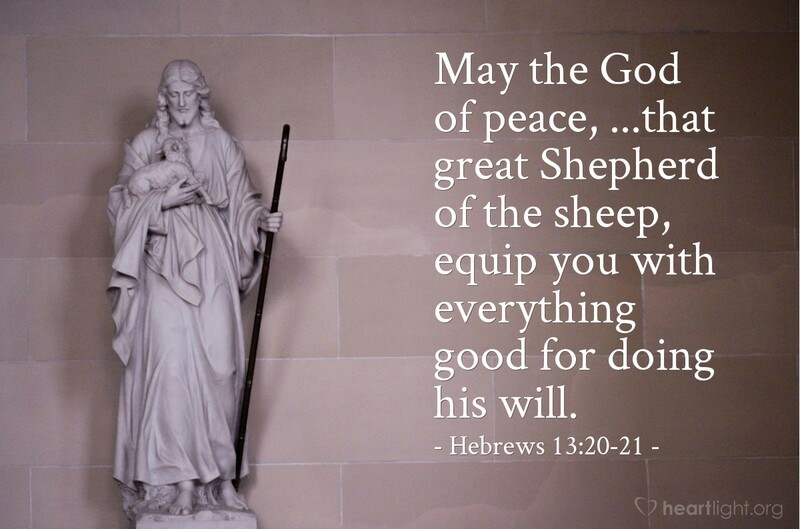 O Great Shepherd of the sheep, please release the power of your Spirit in your people and equip us to do great things in our day, like the first Christians did in their day. May it all be done to your glory, in the name of my hero, Jesus. Amen.